Pictures shown are of the item for sale. Kotobukiya (KOTOBUKIYA). We do our best for you!! [ Other Carrier ]. Expdited --- EMS. (Batman and Robin). - Lightup bat signal. (Requires 3 AAA). -AuthenticBatcave styling. Otherwise deal is final. All products are quality checked. 1，If you buy it now, we will sent you a Special Gift ! We will be happy to resolve any issues you may have in a cordial and friendly manner. Microverse Batman & Robin Rogues Gallery. Here we have a Kenner MIP Batman & Robin Rogues Gallery. Plastic may be dirty. 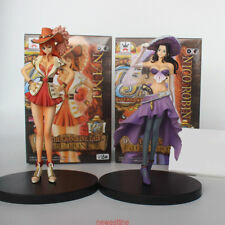 ・ ONE PIECE onepiece glitter & glamors nico.robin Nico Robin Rare single item. 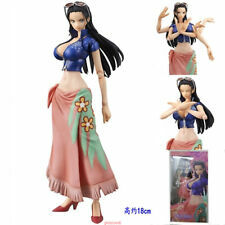 Portait of Pirates - ONE PIECE: Nico Robin (Repaint ver.). [Limited Edition]. Japan Genuine Product. Clear parts using a large flower petal effect and the glossy rich colour and vivid colors and poses is the main attraction. It will arrive in 1-4 weeks. It will arrive in 2-4 weeks. It will arrive in 1-2 weeks. 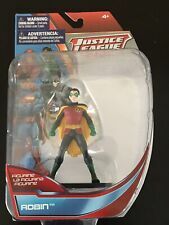 DC Comics Justice League Robin 4” Super Hero Collectable Figurine NIP. Condition is New. Shipped with USPS First Class Package. Tin has a couple of minor rust spots around the edges. Includes one sticker. See pictures for more details. Like what you see?. Material: PVC. Due to the light and screen difference. sealing bag，transport case，vulnerable mark. we'll do our best to resolve the problem! Product Overview. All products are quality checked. I will give you the best solution. Brand New 1988 Batman Presents auction figures. Great for hanging or decking out a little Christmas tree for the holidays. What you see is exactly what you’re going to get. Comes from a smoke free home. Free Shipping. All products are quality checked. 1，If you buy it now, we will sent you a Special Gift ! Otherwise deal is final. We will be happy to resolve any issues you may have in a cordial and friendly manner. Initial Release: 11 Years In Mid-November Figuarts Zero Is The Appearance Is A Little Bit Of Beautiful Archaeologist Nico Robin. DHL Service. Expedite : EMS. The main production: China. Release date : 2014/04/12. Therefore we can't make a definite promise that manufacture branches of your country can accept repair. Condition : NEW. Back to top. Minimum age: 15 years old or more. Model Xmas gift in BOX. Do not dismiss your dream. To be without dream is to be without hope. Do not run through your life so fast that you forget not only where you have been, but also where you are. Version: Made in China, Chinese version. Color: as shown. 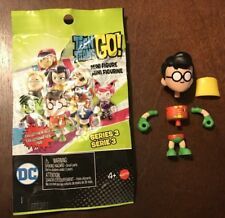 This is great for children and collectors. Get it now! If you are very concerned about the box, it is best not to buy here. Conditions: new, never used. Do not dismiss your dream. To be without dream is to be without hope. Do not run through your life so fast that you forget not only where you have been, but also where you are. To be without hope is to be without purpose. Will surely solve the problem for. us a chance to make things right. You will be greatly. Clothing, Shoes & Accessories. This item may have been washed and dried, may fit different than new, and may have a few small missed flaws. Colors can look different on multiple screens. Do not dismiss your dream. To be without dream is to be without hope. toy and hobbies. Do not run through your life so fast that you forget not only where you have been, but also where you are. One piece GK statue. Nico Robin is the first PVC conversion in the P.O.P series! Coloring is also quite good quality up! All eight complete set. 100% authentic product released in Japan. ※Look at the photo. 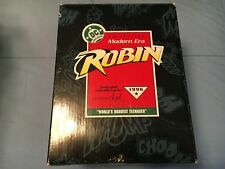 Hallmark Modern Era Robin Figurine DC 1996 - "World's Bravest Teenager"